If you’ve just purchased a new boat, congratulations! You’ll be very excited – as you should be! The first thing to do is celebrate with your family and friends, you deserve it. You shouldn’t rush out on the water immediately after the purchase, as you have some things to take care of first. There is a lot to know about boats. Being out on the water is a lot of fun, although there are things you should know and things you should always be aware of. So, if you like, let’s start off with boat safety information or just select the subject that you’re interested in on the left hand side menu. Set volume and squelch according to manufacturers’ instructions. Hold the microphone a couple of inches in front and to one side of your mouth. Use your normal speaking voice, but speak slowly and clearly. Once the operator has responded with “This is VJ6LQ, Go Ahead with your message“, give your message details and then wait for acknowledgement. VJ6LQ will either advise that they have logged your call, or may ask you to repeat of provide more information. They will then advise that they are “Standing by” waiting for the next call. LEAVE YOUR RADIO ON. We may need to contact you. This article provides you with the latest information that you need to know about the required safety equipment you must have in your boat when you take it off dry land. 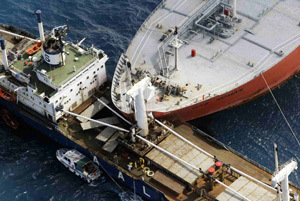 There is information about flares, fire extinguishers, bilge pumps, bailers, EPIRBS, radios and much more. 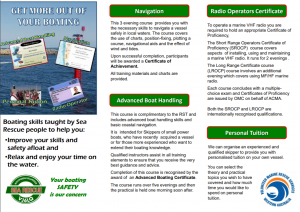 Our range of boating education courses aim to help you build up your knowledge of safe boat handling and navigation through the hazardous waters off the north metropolitan coast. 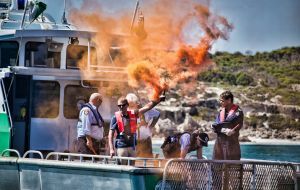 We use our experienced volunteers as trainers and they bring a wealth of experience on our rescue vessels. 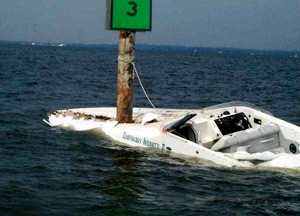 Over the years, they get to see plenty of mishaps, so they know a lot about how to avoid the many things that go wrong to spoil a beautiful boating day out. These are hand held flares. The incandescent flare gives off a very bright light for a short period of time. It is OK if you know somebody is in close proximity and you need to attract their attention. 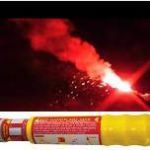 Be aware that these flares are much more effective in the night time. Caution: This type of flare works by burning magnesium. It will get VERY hot and can burn a hole right through a fibre glass or aluminium boat. As well, looking directly at the flame can cause eye damage. These are either hand held or in canister form. 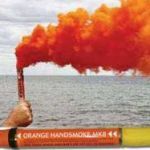 The smoke flare gives off a dense orange smoke for a short period of time. It is OK if you know somebody is in close proximity and you need to attract their attention. Be aware that these flares are not very effective in very windy conditions. These are the most effective flare for both daytime and night time. They operate by shooting a magnesium flare hundreds of meters into the air and then allowing this flare to drift down slowly by using a parachute to slow it’s descent. When firing the flare, do not point it at anybody. Point it into the wind on an angle of about 80 degrees and then set it off. If it fails to ignite, dispose of it overboard. 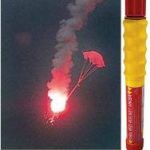 There are many types of flares on the market. Make sure you familiarise yourself with the instructions that come with your flares. If you’re unsure, ask somebody to help you.